Hello everyone! 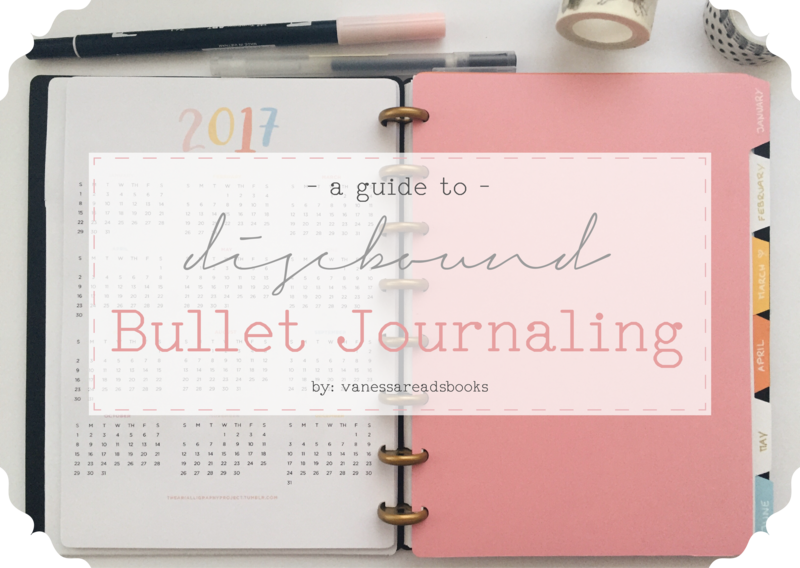 Today I’ll be talking about bullet journaling in discbound notebooks. A discbound notebook is exactly that, a notebook that is bounded by discs. I decided to try using one for bullet journaling because I came across Nicole’s bullet journal, which is probably my favorite bullet journal that I have ever seen. What I love about this system is the versatility. To me, it’s kind of like a combination of a binder and a spiral notebook, in the sense that it works exactly like a spiral notebook, but the pages are not permanently stuck in one place so you can move them around. The discs are what makes these notebooks special. There are many sizes and colors that you can get, which adds to the versatility. You can adjust the size of the discs to your needs. Since I’ve only been using my notebook for about two months, I am using the smallest rings I could find from the Happy Planner brand, which are .75 inches wide. I also got a pack of 1 inch, and another of expander rings, which are 1.75 inches. In terms of sizes available, I think the Happy Planner ones only come in those three sizes that I got. The Circa website has around six sizes, and Staples has three sizes as well, one of them being the tiny ones that come with the notebook, and that you can’t buy in a pack (at least not here). Circa also has discs that are simultaneously pen holders. You can find them here. 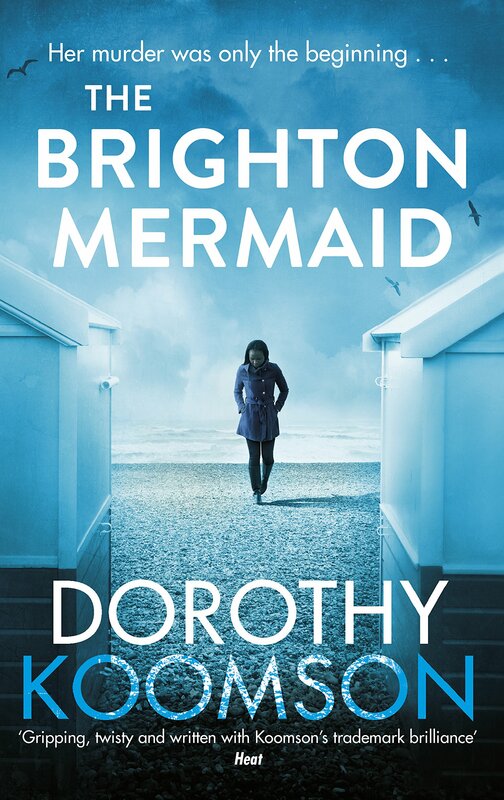 The covers are the fun part. I personally am choosing to design my own, rather than buying, because it’ll be cheaper and I’ll be able to customize every single detail. If you want, I could make a post about how I made mine. For anyone that wants to buy covers, here are a few stores you can buy them from. There’s a really famous Etsy store called Jane’s Agenda that has absolutely beautiful covers, and according to Nicole, they’re the best and most durable she’s ever used. The official Happy Planner website also sells a lot of different covers you can choose from, and if you live in the US, they sell all of their products at Michael’s, so you can get them easily. There are tons of Etsy stores that you can buy covers from, and if you’d like to search for covers, you don’t have to limit your search to “discbound bullet journal cover”, because you can buy covers that are meant for Happy Planners as well. They all work, because the distance between the punches is the same for all systems! The technical, very important part. The paper should be thicker than regular printer paper and able to handle being put on and taken off the discs without ripping. Using thicker paper will also make sure that the holes won’t get too loose, and therefore the pages won’t come out of the discs. Not to mention the amount of bleeding and ghosting that happens when you write in printer paper… yikes! The paper I use is 32lbs (120gr) by Navigator, which is quite cheap (at least in Portugal) and the paper is amazing! I bought an A4 pack, but since I wanted my journal to be A5 sized, I cut the paper in half at the Staples copy center, which cost like 0,60€. That means instead of 250 sheets, which is the amount in the pack, I have 500. It’s way more than enough, trust me! If you want, you can buy paper already printed and punched from Etsy shops or Staples. If you don’t want that, like me, you can make your own. All I do is create the paper I want to use (I prefer grid paper) and then print it out, punch it and put it into my journal. Let me know if you’d like me to create digital paper for you to download and print! You can find these in any of the brands that carry the discbound system, or you can make your own, like I did. I made a pocket for my stickers and also dividers for each month out of cardboard, as you can see below. I could make a tutorial on how to make them, if you wanted. As you can see by the amount of pros, I really love this system! However, I still don’t know if I’ll be using this journal for school. I don’t want to carry the whole thing with me because it’s very heavy, and even if I just took a few of the pages with me, the rings would be a problem. I’m thinking I should get a tiny notebook to use as a college bullet journal, and this one would be for my life and blog tasks, and more of an at-home journal. What do you guys think I should do? Do you want me to create digital paper that you can print out? Do you want a tutorial on how to make the pocket and dividers? 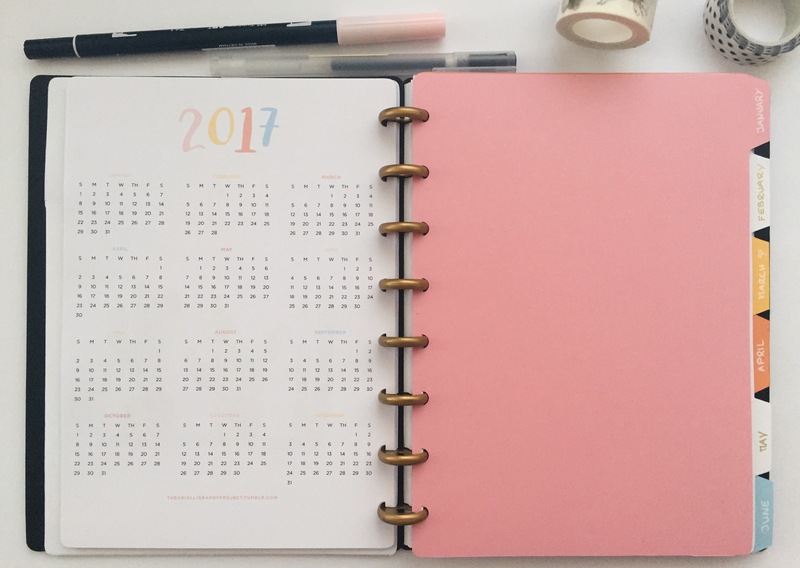 Should I share how I made my bullet journal cover (when I get it done)? Should I get a separate, thinner journal for college, or use this one for everything?